Rex Tillerson shouldn’t have served as secretary of state. Tillerson is an accomplished Texas business mogul. He also was surrounded by a legal team at State that told him that Donald John “Stable Genius” Trump was making demands that violated the law. So that’s what Tillerson said this week, incurring the Twitter wrath of the president. Sigh. I hasten to add that if there is any dumbness to be found inside the Trump administration, I believe it can be seen in the man who runs the show. Seriously, man. The nonsensical idiocy that flows from his Twitter account tells me that the president of the United States — the elected head of state — is deficient in (a) the use of the English language and (b) any sense of propriety for the high office to which he was elected. ‘Dumb as a rock’? Seriously, Mr. POTUS? Donald J. Trump, president of the United States, has just posted a Twitter message about a man he nominated to become the secretary of state, the nation’s top foreign service officer. Yep, that’s our president, the guy who sought to present the United States’ foreign policy statements through its secretary of state. I don’t believe Rex Tillerson is “dumb as a rock.” He ran ExxonMobil oil company before he took the job as the nation’s top diplomat. I don’t believe he was well-suited for the job at State. It is simply astonishing, though, that the president — our head of state, our commander in chief, the leader of the free world — would resort to the kind of language he is using to denigrate someone he hired for this most sensitive of jobs. And we’re expected to take the president seriously? 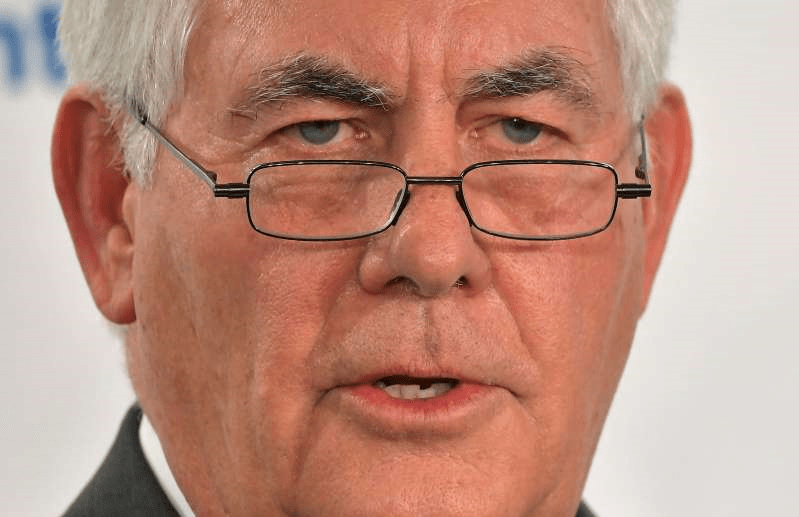 Former Secretary of State Rex Tillerson is now a private citizen. He isn’t a silent citizen, though. Who in the world do you think Tillerson is referring to when he said we “go wobbly on the truth”? 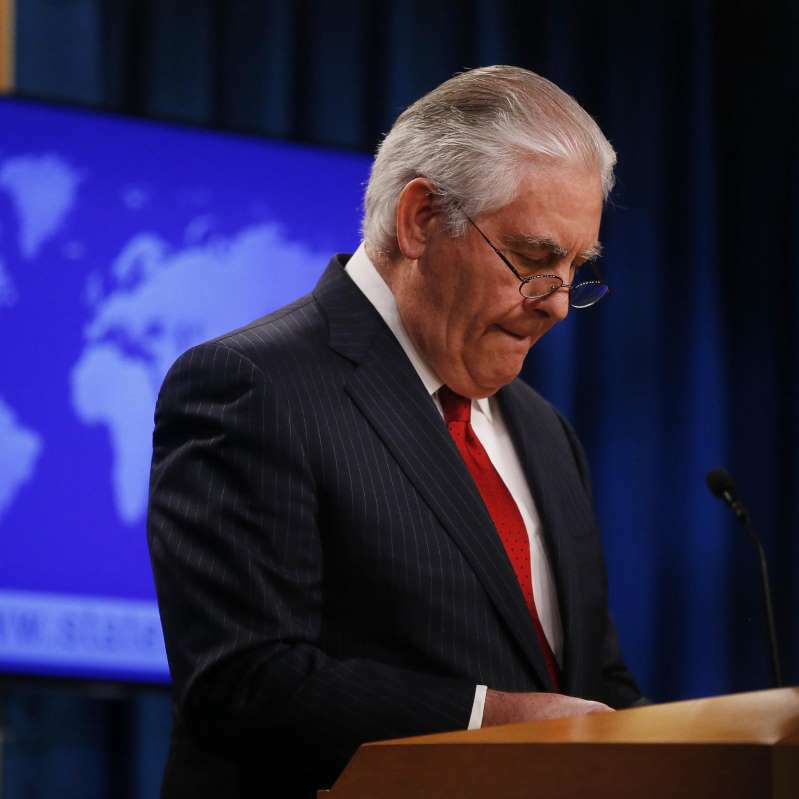 He didn’t mention Donald J. Trump by name, but Tillerson appears to be unsheathing his rhetorical weaponry at the president. Tillerson’s tenure at State didn’t go well from the beginning. It ended when Trump fired him and then replaced him with CIA director Mike Pompeo. Tillerson left the agency quietly, but to his credit he is not remaining quiet. “If we do not as Americans confront the crisis of ethics and integrity in our society and among our leaders in both private and public sector, and regrettably at times even the nonprofit sector, then American democracy as we know it is entering its twilight years,” Tillerson said to the VMI cadets. Yes, we are witnessing an epidemic of “crisis of ethics and integrity in our society.” I believe its source of late has been in the halls of power at the highest levels of our government. I also believe that Rex Tillerson knows that to be true as well. I am glad his voice is being heard once again. The former chief diplomat has an important message to deliver. It once was thought that “politics stopped at the water’s edge,” meaning that Democrats and Republicans locked arms when facing the rest of the world, setting aside their partisan differences. A couple of events this week have demonstrated that the late Republican U.S. Sen. Arthur Vandenberg’s words of wisdom no longer apply. Event No. 1: Mike Pompeo received a partisan vote of confirmation by the U.S. Senate Foreign Relations Committee to become the next secretary of state. The full Senate now figures to confirm Pompeo, with only a couple of Democrats crossing over to cast affirmative votes. Republican Sen. Rand Paul of Kentucky, who had been thought to be a “no” vote on Pompeo, changed his mind after receiving assurances from Donald Trump about Pompeo’s view regarding the Iraq War, which Paul opposed. Event No. 2: The president is going to play host this week to a state dinner honoring French President Emmanuel Macron. But here’s the catch: Trump didn’t invite a single Democrat to the White House gala, which is starkly against presidential tradition. Presidents of both parties traditionally reach across the aisle for these state dinners, which feature sumptuous menus, lots of fine music, toasts and expressions of good wishes. Not this time, which happens to be the president’s first such state dinner since taking office. What’s more, Macron is head of state of our nation’s oldest international ally. After all, France fought side by side with us while our forebears revolted against Britain’s King George III. 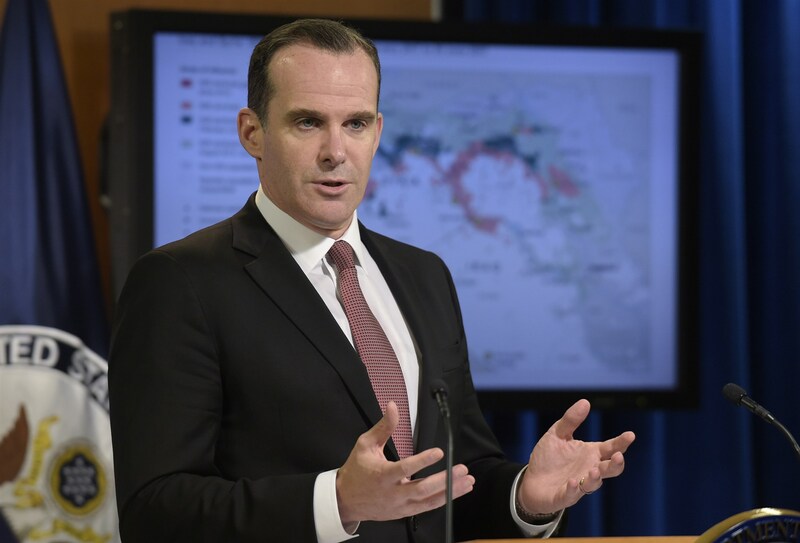 As for the upcoming secretary of state vote, I feel compelled to remind everyone that the office of nation’s top diplomat needs to come in with a semblance of a mandate from the legislative branch of government. It sends the world a message that we remain united in the cause of furthering our nation’s interests. Former secretaries of state Condoleezza Rice, Hillary Rodham Clinton and John Kerry, for instance, all received unanimous or near-unanimous votes of confirmation by the Senate. Politics must end at the our water’s edge. It’s not just a quaint notion. It’s real and it’s vital in the conduct of foreign policy. Mike Pompeo is likely to be confirmed as the nation’s next secretary of state, but he’ll take strange route on his way to leading the nation’s diplomatic corps. Pompeo is the CIA director whom Donald Trump selected to succeed Rex Tillerson at the State Department. He has run into trouble on his way to confirmation: Pompeo won’t have the blessing of the Senate Foreign Relations Committee, which conducted confirmation hearings on Pompeo’s nomination. 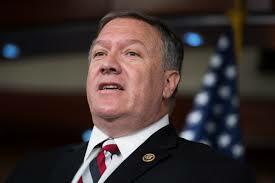 A Republican committee member, Rand Paul of Kentucky, is going to vote against Pompeo’s nomination. That will result more than likely in a vote of no confidence from the panel. That won’t derail his confirmation. The full Senate will get to vote on it, but Pompeo will gain the support of Senate Democrats who might be in trouble in states that Trump carried in the 2016 presidential election. Heidi Heitkamp of North Dakota and Joe Manchin of West Virginia come to mind; let’s toss in Bill Nelson of Florida while we’re at it. They’re all running for re-election, which seems to give Pompeo a leg up in this strange journey toward confirmation. Actually, I hope Pompeo does get confirmed. The State Department needs a steady hand and I think Pompeo can provide it … if only the president will allow him to lead the agency. Tillerson had to fight the occasional battle against being undercut by the president. Tillerson would make a pronouncement and then Trump would countermand him. I don’t want that to happen with the new secretary of state, who’s got a big job awaiting him immediately — which happens to be the preparation for the planned summit between Donald Trump and North Korean despot Kim Jong Un. What’s more, as head of the CIA, Pompeo has joined other U.S. intelligence officials in confirming the obvious: that the Russians meddled in our 2016 election. This man needs to be our secretary of state. Tillerson for UT chancellor? Hey, why not? This will sound like I’m damning someone with faint praise, but that’s not my intent. 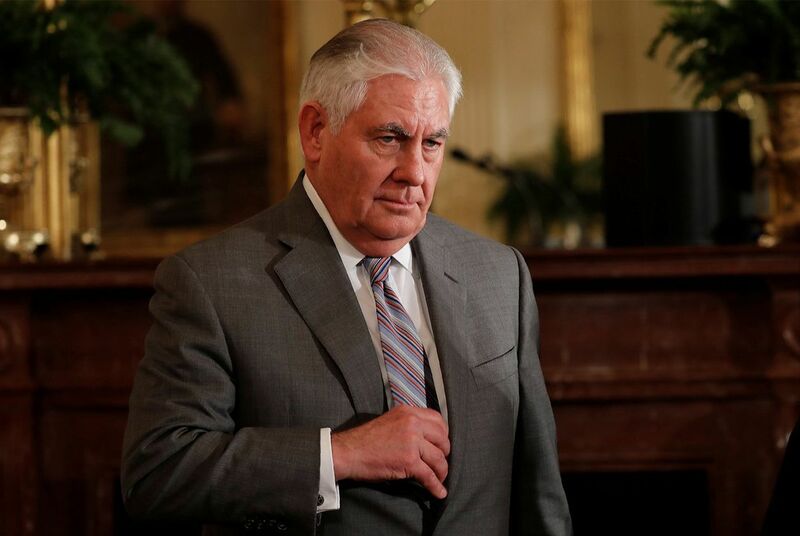 The Texas Tribune is reporting that Rex Tillerson, the soon-to-depart secretary of state might be under consideration to become chancellor of the University of Texas System. To which I would add: Why not pick Tillerson? 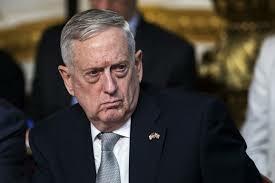 He’s worked already inside arguably the most dysfunctional government system on Earth; that would be the executive branch of the U.S. government. He’s cut his teeth on chaos, confusion and controversy. So, whatever troubles afflicting the UT System Board of Regents would be easy for him to handle. The UT Board of Regents has had its fill of its own brand of chaos of late. One of the regents had been targeted for possible ouster because of alleged meddling in the affairs of the UT-Austin campus. The board at times has seemed as though its members don’t get along, don’t work cohesively. The current chancellor, William McRaven, is set to retire for health reasons. I wish McRaven could stay on. I like the man’s background: U.S. Navy admiral, SEAL, former commander of the U.S. Special Forces Command. He’s a no-nonsense flag officer, who happened to oppose legislation approved last year to allow guns on college and university campuses. Tillerson bleeds burnt orange. He graduated from UT before heading off to pursue a highly successful business career that culminated in his becoming CEO of ExxonMobil. Then he got the call from Donald Trump to become secretary of state. That gig didn’t work out too well. I don’t blame Tillerson so much as I blame the president for the dysfunction that highlighted (or lowlighted) Tillerson’s tenure at State. A Texas university system chancellor’s main job is to raise money for the system. Tillerson is well-positioned to fatten the UT System’s already bulging cache of endowments. Plus, he’s been baptized already in a system that exudes dysfunction. Hey, the UT job would be a piece of cake!